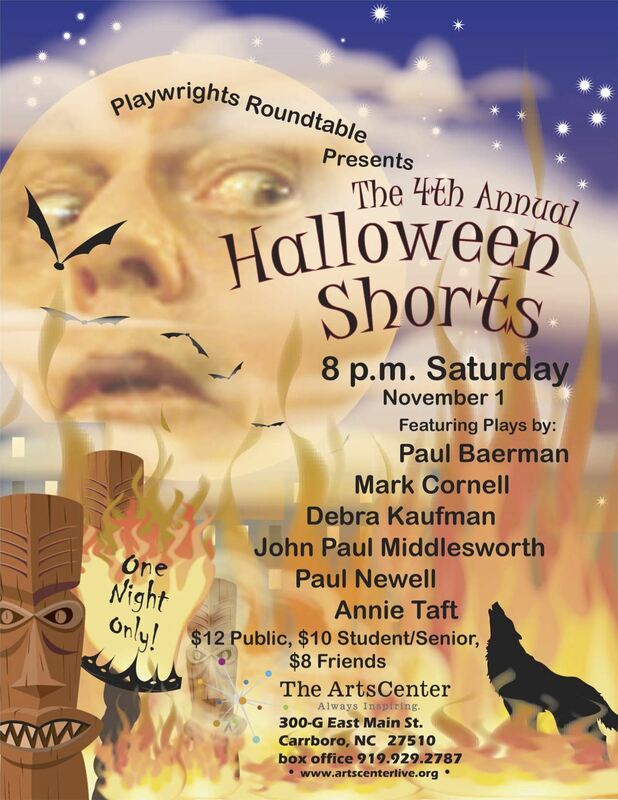 For this Halloween’s production of the Playwrights’ Roundtable shorts, I thought I’d explore for a change what it means to be human. In the context of a kaffee-klatsch where wives of werewolves come together (why are werewolves usually male? ), being human means they’re mortal; that they share the savagery of any other animal; and that each desperately needs a sense of community. By what ethic will they live? Admittedly, my three lovely ladies endure strained conjugal relationships. There’s Cassandra, who hopes to become an IRS accountant and just wants everyone to get along; Sunny, who used to train assassins but now just wishes for a little furball with fangs; and their hostess, Allegra, who craves revenge for her being mortal. Enter Allegra’s husband, Rupert the Werewolf, a cardiothoracic surgeon. Shall I say more? Probably not. See you at 8 pm November 1st at the Carrboro, NC Arts Center. They were just having coffee when Rupert the Werewolf stumbled in. Sure they were.